Aeroplan has joined AccorHotels Sweet Pillows World Tour promotion! We've posted lots of these offers to our bonus pages from other programs and as of yesterday Aeroplan became one of them! From now until July 15th you can earn triple Aeroplan miles on all your Accor stays including those Novotel and Sofitel hotels in Ottawa, Montreal and Toronto. Simply make sure you book your stay by June 30th to take advantage of the offer. 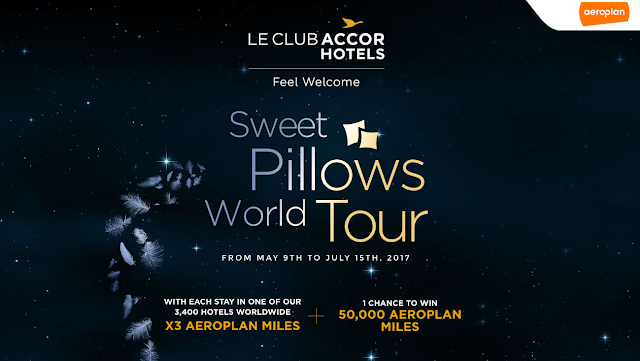 And one lucky Aeroplan member who does complete an Accor stay will be picked to win 50,000 Aeroplan miles!